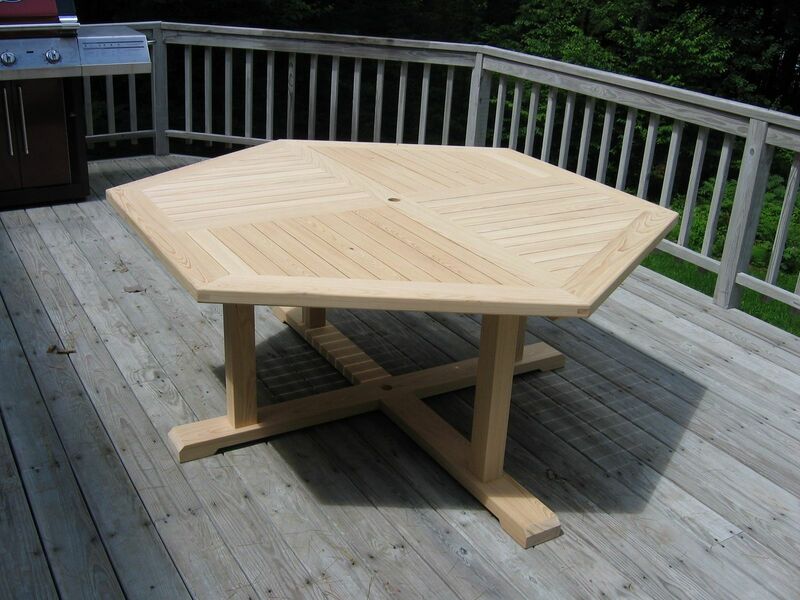 This table is made entirely with cypress, a cost effective wood that is impervious to insects and rot. No finish of any kind was applied, and when left to weather, it will take on a grayish/silver color similar to the deck it is on. Partial disassemblty was built into the design for ease of transport and seasonal storage. The table can be built to practically any size.